In the summer of 1975, I was on vacation with my family, we were traveling through Texas and stopped in the city of Dallas. I had read of a little nightclub in Dallas called “It's Magic.” So as we traveled across the country, we just had to stop by and check this place out. We got into town early evening, and as we drove past this place there on the front door was a sign that said Derek Dingle was performing in their magic lounge. I can almost hear the tires of our car screeching to a halt. Derek was originally from England, so he had that elegant charm that only the English have. The next day I was fortunate to spend the afternoon with Derek. My family and I were treated to a couple hours of his wonderful card magic. His taking the time to spend with us was simply extraordinary and I will always be grateful for such kindness. There just happened to be a friend of his visiting with him at the time, I didn't recognize his name at the time, but the friend was magician John Cornelius. John showed us some magic to, of course, it was exceptional! 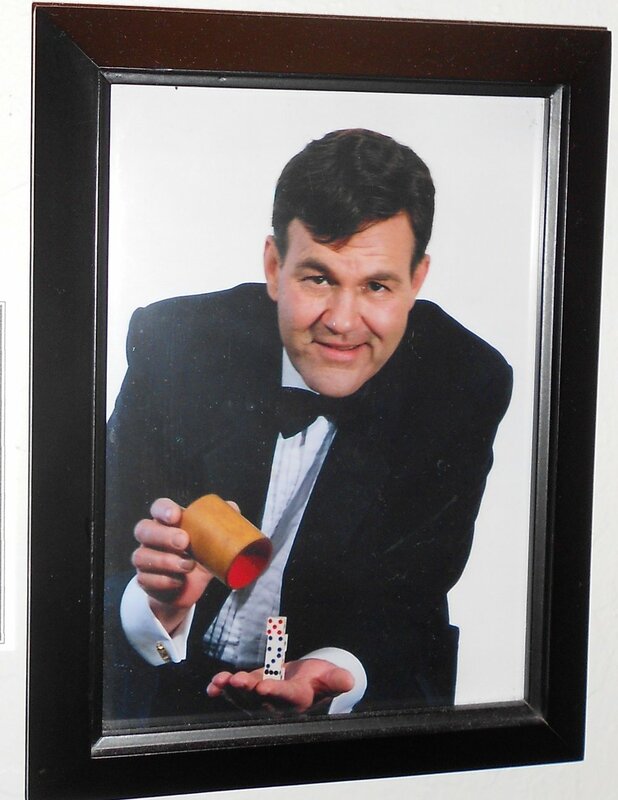 Over the years, I had the chance and good fortune of bumping into Derek Dingle on a few occasions at magic conventions. He was always a gentleman and I will always appreciate his kindness and good nature. What stood out for me really was first the quality of his magic, he had a twinkle in his eye and a funny something to say that went well with his magic and he was always sharply dressed, with a very elegant nature about him. Of course, the English accent helped. These qualities, of how he carried himself and performed impressed me greatly. During the mid-1970s, I spent quite a bit of time at a nightclub in San Francisco called the Magic Cellar. There were many great magicians performing at the magic cellar in those days and one of the very best was magician Vic Kirk. Now I must say Vic was and is my biggest inspiration. I had the good fortune of knowing him for about 20 years and he was a very close friend. He was “Uncle Vic” to my two daughters. The discussions we had about magic were wonderful. I first saw him, as I mentioned, performing at the Magic Cellar nightclub. He performed at the close-up magic table as well as on stage, many times. He had a very strong commanding presence as well as a deep speaking voice. The kind of voice that you usually hear narrating some great story on television. Vic is also the only person, in magic, that I could truly say had a PhD in magic. His erudition was that of legend. I now own most of his library of magic books and these books are well-worn with his study. He knew these books inside and out, like a clergy man knows the scriptures. He was familiar with all performing aspects of magic, and actually learned every magical effect in the entire Tarbell course of magic. And why did Vic know magic so well? The performance art of magic was his life's work. Whenever I am asked “what does it take to become a great magician”, my answer is “passion” for what you do. This is probably the greatest piece of information that I gleaned from knowing Vic Kirk. His knowledge of magic was encyclopedic, that is because he loved it so much, he studied every aspect of magic. Not just the tricks, but all the details that make up performing magic, from how you conduct yourself on stage, performing up close, to the smallest details of what make magical entertainment great. I must say, talking to Vic Kirk about magic, is what it was like to talk to Einstein if you were a physicist. The depth of the conversations were wonderful and something I miss. Vic Kirk has had the greatest influence on my magic than any other person I have ever known. Let's go back in time once again, it is approximately 1977 and I am on a trip to Reno, Nevada. While I am there I am introduced to a magician by the name of Terry LaGerould. The first words I can say about Terry is that if I were asked “who do you think the finest close-up magician in the world is?”, my answer would be Terry LaGerould. Without question, Terry is not only the best close-up magician in the world, by my standard, but the most creative mind in magic that I have ever known. He is like an Artesian well, magical creativity pouring forth without stop. I have seen him do the kind of magic, in skill level, that I have never seen anyone else do. Terry has spent most of his life entertaining in the hotel/casinos of Nevada. 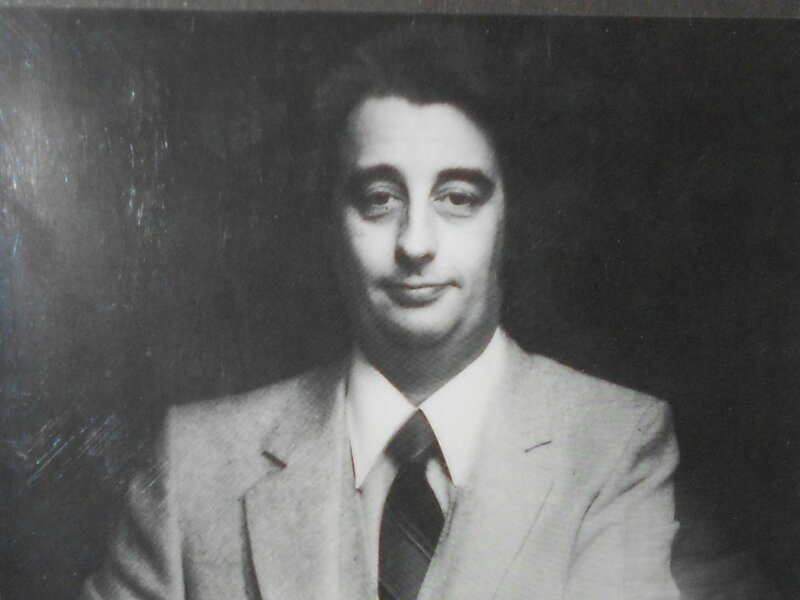 He told me a story once, he wanted to get into magic as a performer and he came out to Las Vegas to witness for himself the famous magicians of that time, this was during the early 1970s. He found that they were great, but fortunately his skills were very good as well and he could forge ahead and do well as a performer of magic in the world, and he did. I remember he performed at Harrah's in Reno, Nevada, in the mid-1970s and later at Caesars south shore of Lake Tahoe casino in their restaurants. Over the many years that I have known Terry he has entertained hundreds of thousands of dinner guests and even hundreds of thousands of tables full of dinner guests, and incredible number! His skill as a magician and performer are a testament to this time he has under his belt. I've spent many hours over the years talking magic with Terry and it has certainly influenced my performing style greatly. Terry is a master of presentation and weaving the entertainment storytelling perfectly with his original magic. As a footnote to this story, his book “Pasteboard Presentations” is one of the all-time best books on card magic complete with his presentations. If you can find a copy or any of the magic he has produced, don't hesitate to get it. Terry LaGerould is, without question, one of the most “fun” performers I have ever seen. The fourth magician I will speak about is a gentleman who was a friend of mine for many years. Let me use a little tale to introduce him to you, my friend Greg Wilkie. That story I wrote about my friend Greg Wilkie was written 19 years ago, as a forward to a booklet he had written about magic for a class he was teaching. Another story I remember about Greg was we were at a Christmas party for the Society of American magicians local group, it is probably about 1978. We all had enjoyed dinner, but when it came to the evenings performance itinerary, there really wasn't one. Fortunately, Greg was there at that dinner and when dinner was finished he sat down at one of the tables, put his close-up mat on the table and for the next hour and a half performed some great close-up magic. That alone made the evening for everyone. Over the years Greg and I spent many hours talking about magic. He knew most of the performers at the Magic Cellar that I was familiar with, so we had a common history between us. Greg went on to perform magic internationally for a number of years before returning to the United States and making Martinez, California his home. What I remember mostly about Greg was his enthusiasm and passion for magic, that's what grabs me most when I think of him and the time we spent together. He was very well read in magic literature and his love, especially for close-up magic, I believe was the strongest. He was a good friend. Three of my magical inspirations Derek Dingle, Vic Kirk, and Greg Wilkie have all passed on and I miss them greatly. Terry LaGerould is still out in the world of magic, doing his thing as only he can, without peer! These four gentlemen influenced my magic the most and I am grateful for having known them. I do believe it is very important to have people that you look up to, in every field of endeavor. These people are our heroes, this encourages us and inspires each of us to move forward and be the best we can be. This influence we have upon others is one of the most important aspects of learning.